Fallen Fruits popular Tractor Seat in black steel finish offers a unique saddle based tractor seat design from the 1940s and 50s. Tractor Seat swivels and rotates whilst providing naturally sprung support. 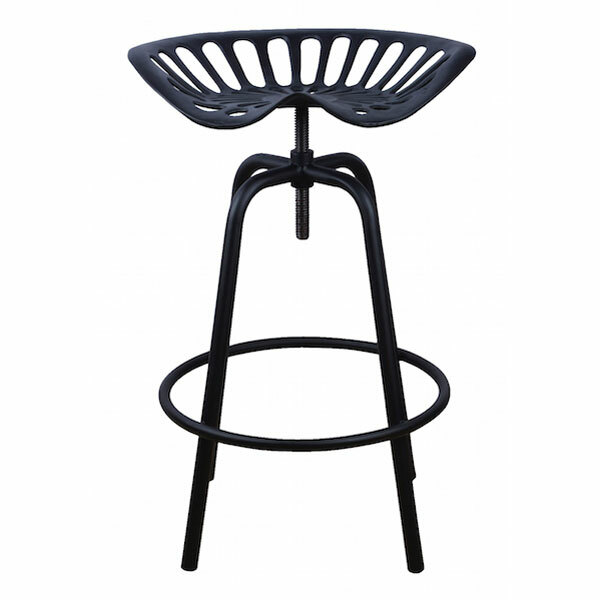 Ideal for use as a bar stool, or for high seating in Kitchens, Sheds or Workshop areas. The delightful Tractor Seat is solidly mounted on a threaded centrepost ensuring the seat position and height can be screwed up or down adjusting the height from 70cm to 80cm. Thankyou to Bosworth garden centre. Special thanks to Jonathan who helped make this a. Surprise birthday present for my husband. Looks great, a real eye catcher.